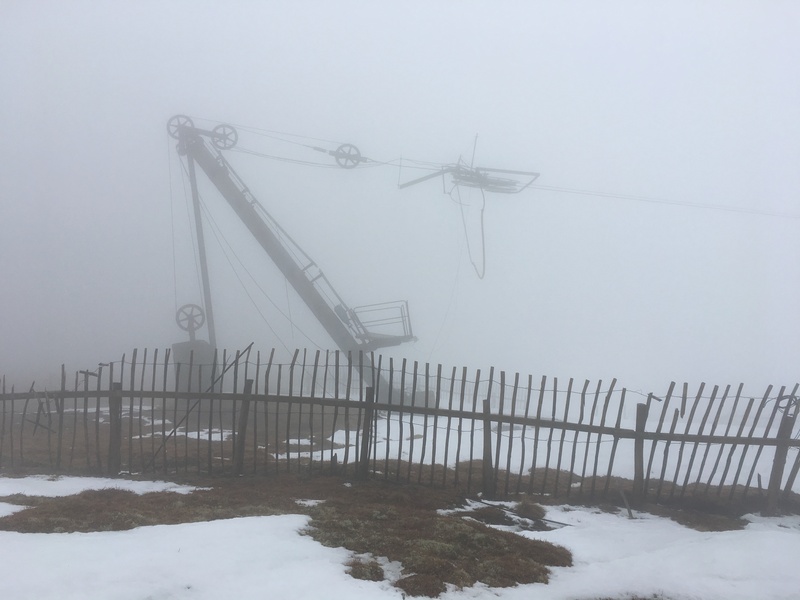 No visibility again today with the cloud base down to around 500 metres… The recent snow is soft and wet with foot penetration of 40cm achievable in the deeper accumulations. 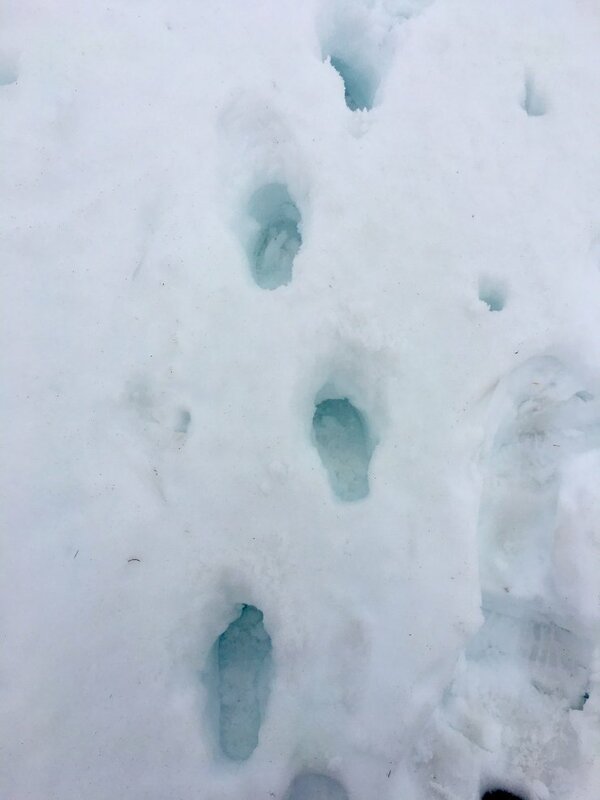 The older snow patches are firmer to walk on with just a little softening of the surface layers. Tomorrow looks set to be a stunner of a day with blue sky and light winds forecast. Air temperature is also due to rise to plus 7 degrees centigrade at 930 metres. So get yourself out there if you can! 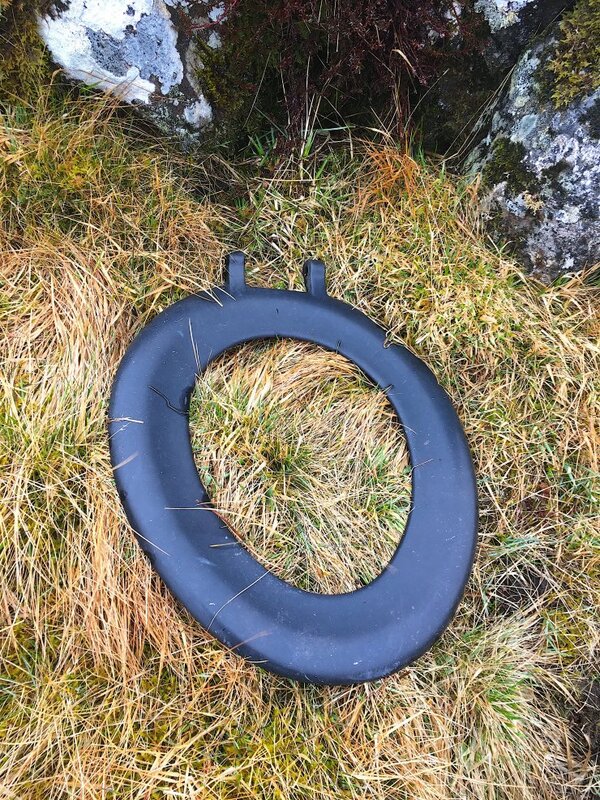 And for today’s random photo – Thanks to whoever left the toilet seat down for me! Poor visibility at 1000 metres. 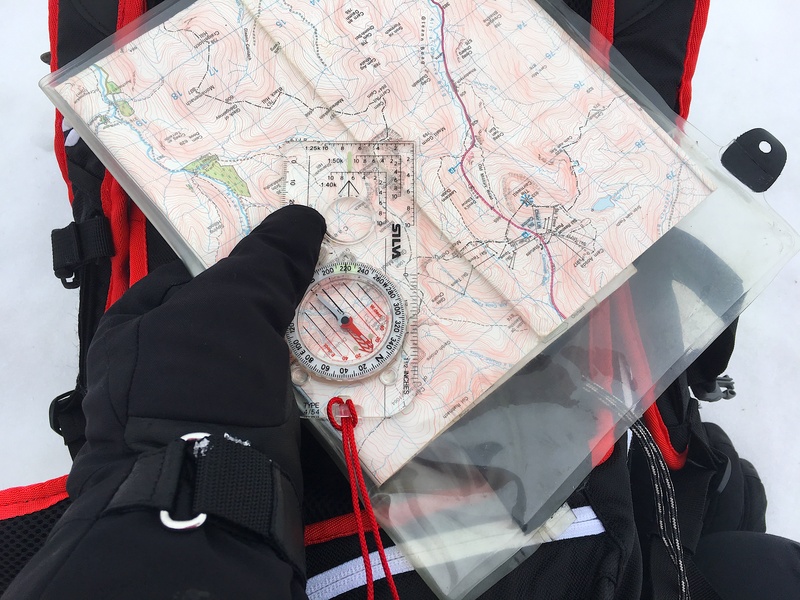 Thought that I might as well use the conditions to get some nav. practice in. Recent snow accumulations are soft and wet.